Last year in January I attended my first Power of Moms Retreat. My friend, Saren, from London Study Abroad in college, runs a powerful website called The Power of Moms – A Gathering Place for Deliberate Mothers. I had gone on the website occasionally and kept track of some of what she was up to during the years. In December 2011 they were looking for a location to hold a retreat in the Los Angeles area. I thought of my sister, Lisa, whose house would be a perfect place for that. I talked to Lisa, and she was happy to host the event. I decided to fly down and enjoy the day and a half retreat and spend some time with my sister and dear friends. Heather, my sister-in-law Rachel, and Heidi came down with me for the retreat. We knew it was about parenting and organization but didn’t know much else. 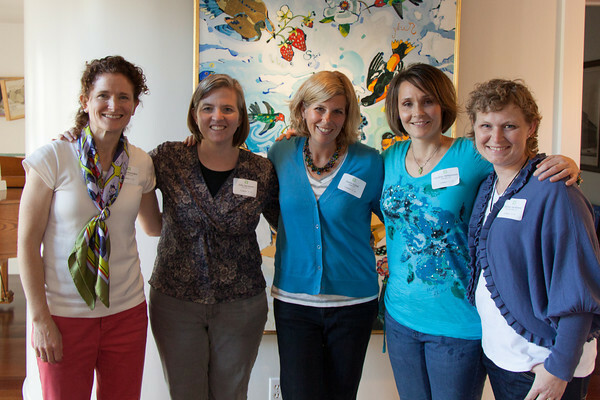 We had a powerful two days of learning about how to be more deliberate mothers. 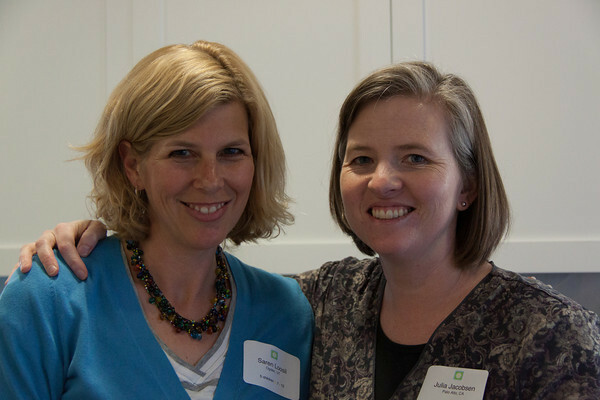 It was fabulous to see Saren and catch up with her and learn from her co-director, April, over the two days of the retreat. I really enjoyed the two days away to strengthen friendships and spend time with my sister. But I came away with much more than I expected from the presentations and learning at the Power of Moms retreat. One fabulous thing I discovered was a new method of organizing my home, paperwork, and thought process about projects and the daily flow of family life. 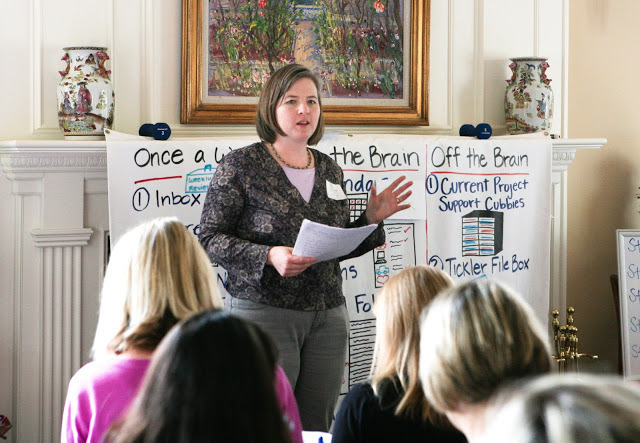 April Perry has been a lifelong organizational enthusiast, and as a mother has developed a program called Mind Organization for Moms. 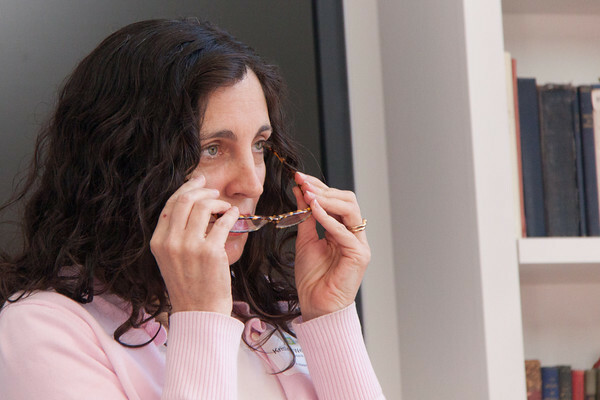 When I learned about the program at the retreat, I was interested. 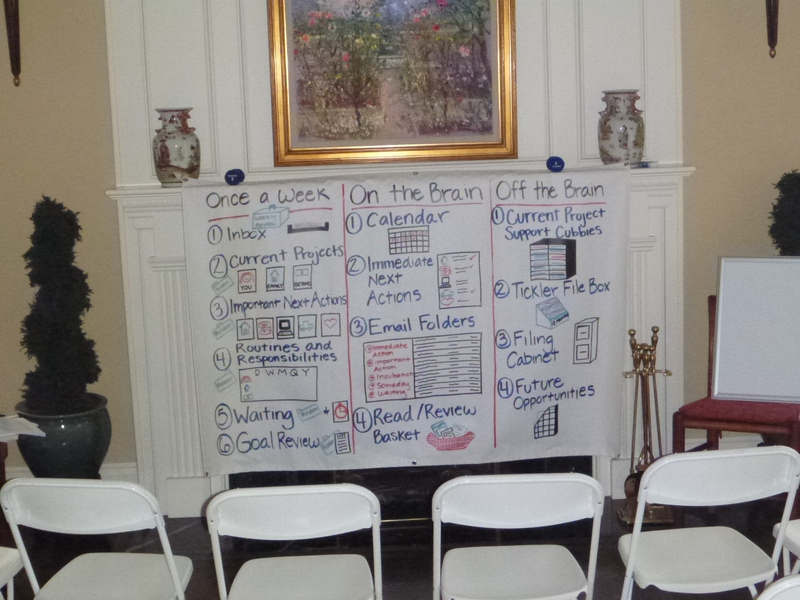 It seemed like some of the principles could help me figure out some keys to being more organized at home. I started reading more and implementing some of the systems at home, and I had an amazing light bulb moment when I realized that this was truly the missing piece for me to decrease stress, organize the hundreds of papers that flow into my house each month, and find more joy with my family. Using this system has changed my life! I have lost the feeling of always being a bit overwhelmed. I tackle projects with more confidence and have a feeling of peace about email, paperwork, and my weekly schedule. I have completely lost that nagging feeling of not being on top of things. This was a complete surprise to me! I felt like before using this system I was a fairly organized person. But I had a constant feeling of underlying stress about keeping on top of email and the demands in my life. Now I feel like I have a plan for the constant flow of papers and responsibilities that come with managing a busy family. I am working toward being more present with my children. And I have so much less stress than before. I actually often feel like I don’t have much stress at all anymore. This was something I never considered as a possibility before. 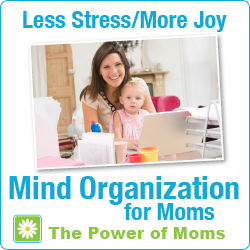 Mind Organization for Moms changed all of that for me. The other thing I really took away from the retreat was that I need to make sure I am taking care of myself as a person. This includes making time for my dreams and passions, as well as not comparing myself to anyone else. My best is good enough. The afternoon was full of learning about family systems. Before the retreat I had especially been working on setting up a family economy to teach my kids about work and money and let them have ownership for their responsibilities. I had time to think about whether I was creating a positive home environment with clear rules and consequences full of encouragement and positive teaching. When I came home from the retreat Erik and I established more clear rules and expectations and things began to improve in behavior, respect, and order. We are still working on establishing a more specific family culture. But it has made us more aware of spending our time together deliberately. 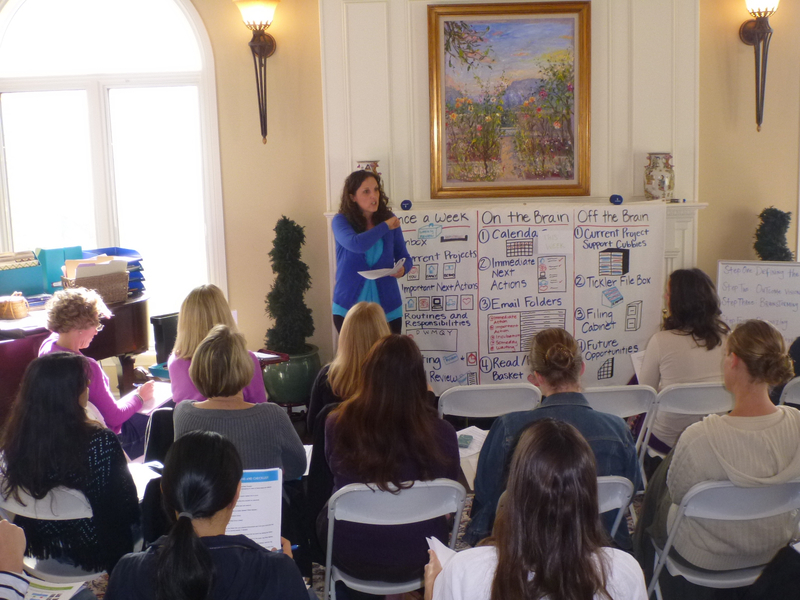 Saren contacted me soon after the retreat about holding a Power of Moms retreat in the Bay area. In the spirit of pursuing dreams, I decided to step out of my comfort zone and help run and present a full Power of Moms retreat. Here I am with Saren in April of last year. My sister, Barbara, flew down from Salt Lake for the retreat, love her! Here is the whole group who shared the day together, such fabulous mothers and inspiring women. 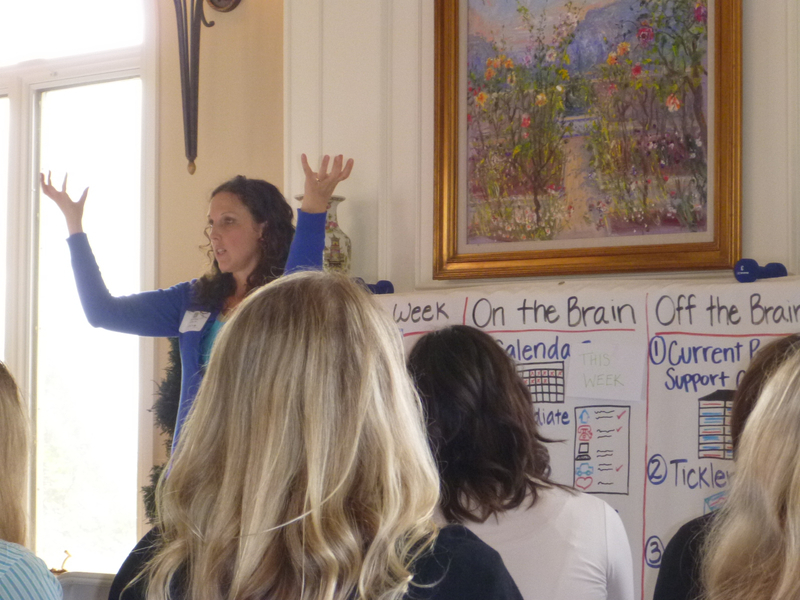 Saren and I taught about Mind Organization for Moms, specifically 5 Steps to Less Stress and ideas about organizing housework and paperwork. We then lead discussions the following day on taking care of ourselves and setting up family systems that help our families thrive. This was a wonderful day of learning and sharing. It was a dream come true to help facilitate learning about strengthening our families and ourselves as women and mothers. Here is the group that ran the retreat, with help from Rachel and Heather, who helped with food and presented. Rachel took all the wonderful pictures from this retreat as well. 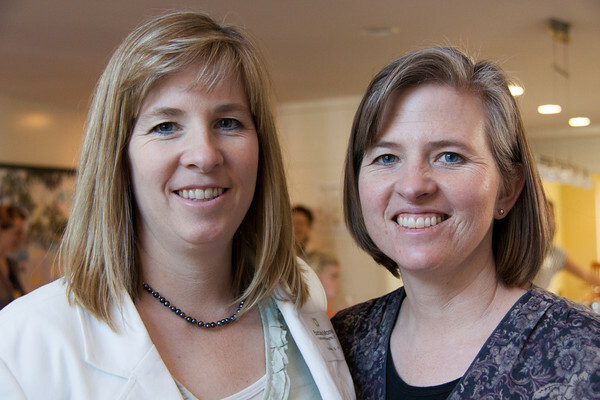 Linda hosted in her beautiful home and shared thoughts on mothering with purpose and love. My sister-in-law, Kristine, shared some wonderful thoughts on having eyes to see what our individual children need. Now fast forward to January of this year, last weekend in fact. 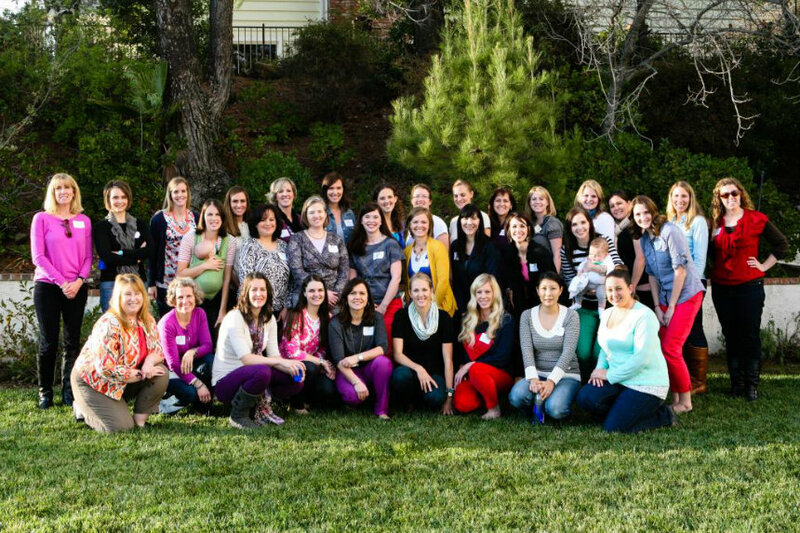 April wanted to hold another Power of Moms retreat in the Los Angeles area. Lisa said she would host it again at her house. Lisa’s home is warm and inviting, a perfect location for a retreat. 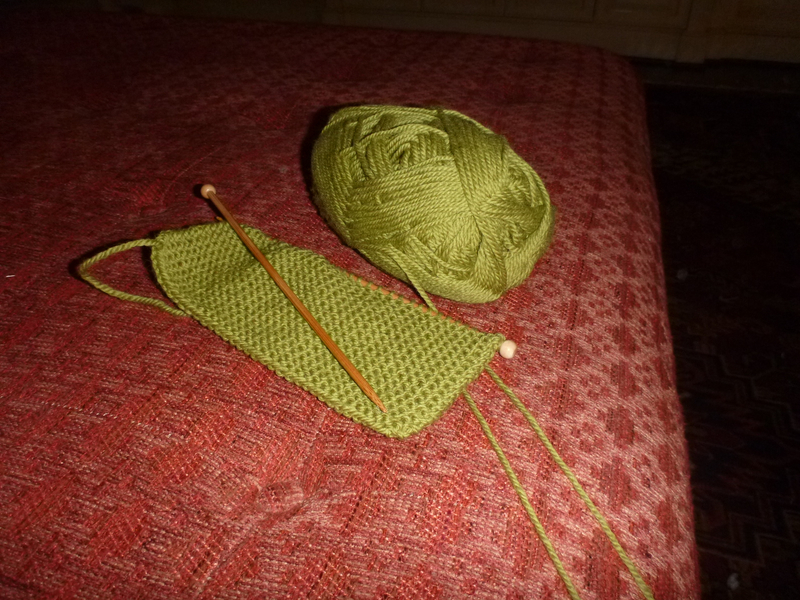 She always inspires me with her creativity, like the knitting she is doing to create a beautiful multi-squared blanket for her daughter. 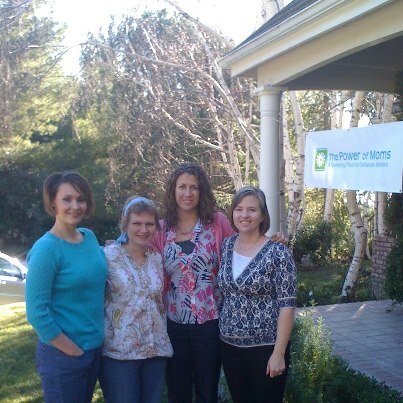 My friends, Heather, Becca, and Brooke joined me at the Power of Moms retreat last weekend. We flew in late Friday, and spent all of Saturday learning and contemplating our families and what we want for them. April Perry ran this retreat. I love her positive and realistic approach to family life and motherhood. Her kindness and encouragement are ever-present, and I always feel ready to reach for my dreams and be a great mother when I am with her. She is wonderful leading discussions about organization, family systems, and taking care of ourselves. I am inspired by how many mothers she is helping through all she does through the Power of Moms. 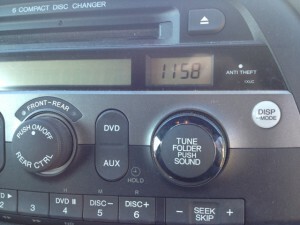 The morning was spent learning about how to set up the Mind Organization for Moms system. We broke into small groups to learn how to process papers and details, learn about new apps for task lists, and project planning. Here is the overview of the system. One thing I decided to implement was a organization system for all my projects. I bought a cart with 10 slots for projects and that piece of the system has already brought me more order and peace. Truly all parts of Mind Organization help me accomplish more and feel more efficient at home. 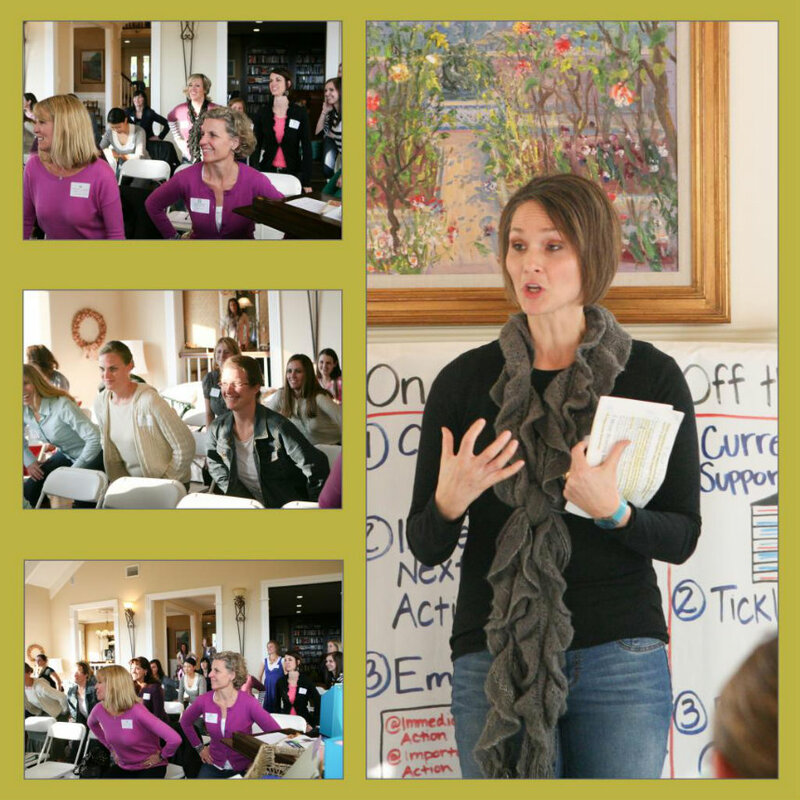 I loved having a chance to share a few thoughts and help April at the retreat. A year ago it would have been hard to convince me that I would enjoy teaching large groups of people, but I have had a lot of opportunities to teach Mind Organization and help people individually with family systems this year. It feels meaningful and worthwhile. One highlight of the weekend was meeting more of the mothers who help on the Power of Moms board and who helped lead part of the retreat. 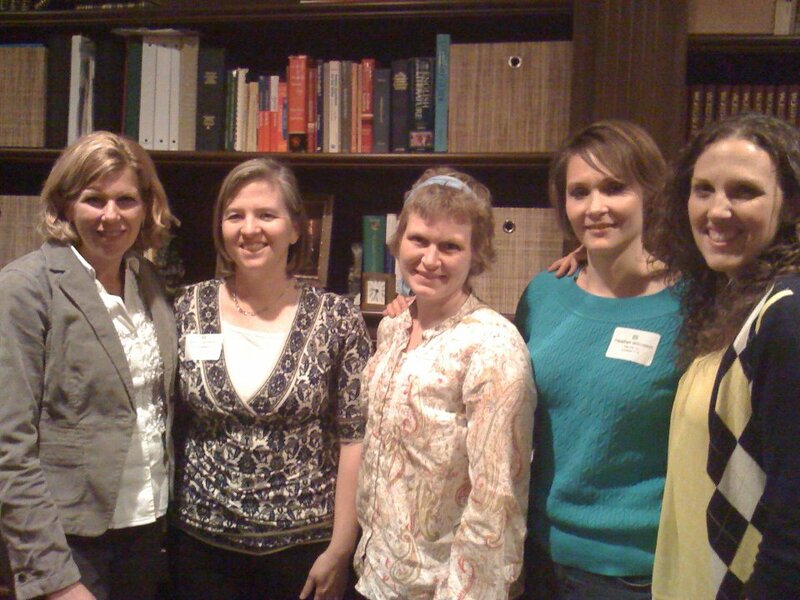 Here is a picture of most of us who helped out with my sister, Lisa, on the end. Heather led us in 5 minutes of squats. She is so engaging and energetic and encouraging. She is a master teacher of weight lifting classes and shared thoughts about how good exercise is for our well-being physically and emotionally. Some of the biggest smiles were while we were feeling the burn together. I am always inspired by Heather’s enthusiasm for exercise and her positive spirit. 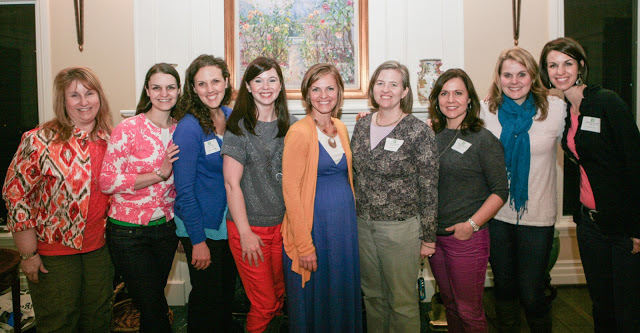 Emily was our roving photographer and helped present at the retreat as well —love the smiles she captured! 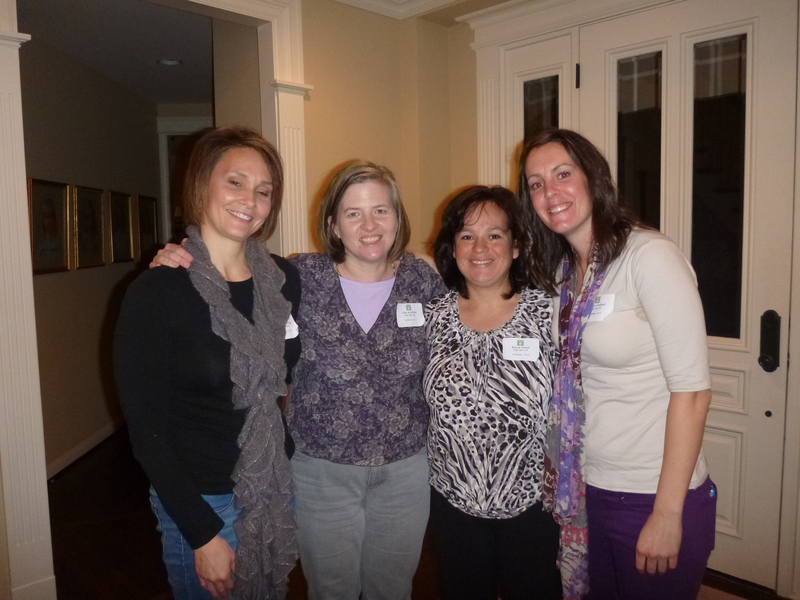 I loved meeting Allyson and Tiffany who have been helping with Power of Moms for a long time. They are both hilarious and inspiring as mothers and women. They shared so many fun stories of family life and taking care of ourselves as women. I enjoyed sharing thoughts with them about improving things in our home between presenting and learning together. Since they both left the Utah winter to come for the retreat, I love this picture of them enjoying the California sun. One of the most fun things about coming to a retreat in person is meeting other inspiring mothers and women who love their families and add so much to the individual discussions we have. 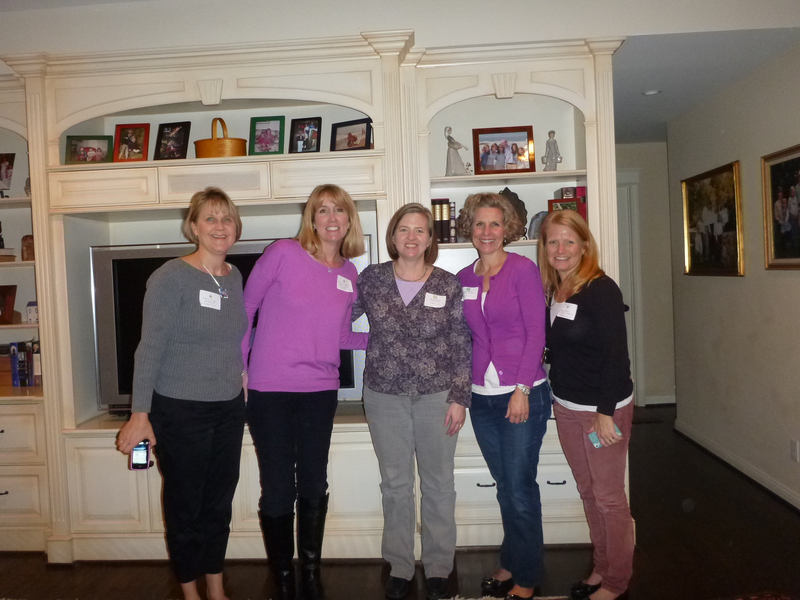 This is my sister’s sister-in-law, Jen, and three of the friends she brought with her to the retreat. I loved sharing ideas with them about teaching kids to work, getting kids ready for college, and organizing our homes. So glad all the moms at the retreat took the time to come and learn. I also had a couple friends of mine, Angie and Gayle, come who I knew when all our kids were little. Now we have a range of ages of kids from teenagers to elementary school age. Time flies. So fun to catch up and see them again. Wish I had gotten a picture with them! Here is the whole group when the sun was out. It was a mix of sun and clouds during the day, a beautiful day. And isn’t that how having a family is, beautiful even though sometimes we just see the sun from behind the clouds? This week I have been more clear and energized than the last few weeks. I am amazed how much a retreat can refocus my energies. I have had new insights that have immediately helped me improve the organization around my home. We have been improving some relationships and systems around here. And I am spending time planning for and living my dreams. Thanks, April and Saren, for helping me see the beauty in motherhood and helping so many mothers find more joy and help in raising wonderful families. If you ever have a chance to attend a Power of Moms workshop, it is worth the time away, the babysitting expense, and the effort to take time for yourself, your family, and your dreams. When I was twelve years old, my family moved from our long-time home in Los Angeles to Boise, Idaho. I was the youngest growing up and maybe the least aware at the time of the huge change and impact of packing up a house full of belongings and moving our family. We finished later than we expected in closing up our home on the day of our departure. My parents had to be at a training meeting for new mission presidents the next morning, and we had a 10-12 hour drive ahead of us. This meant we were driving through the night. I obviously couldn’t drive, but somehow felt a great responsibility to make sure whatever driver I was with stayed awake. So I stayed up through the night with different drivers. The last person I drove with was my sister, Lisa. We were in southern Utah in the early morning in her blue Chevy Chevette. 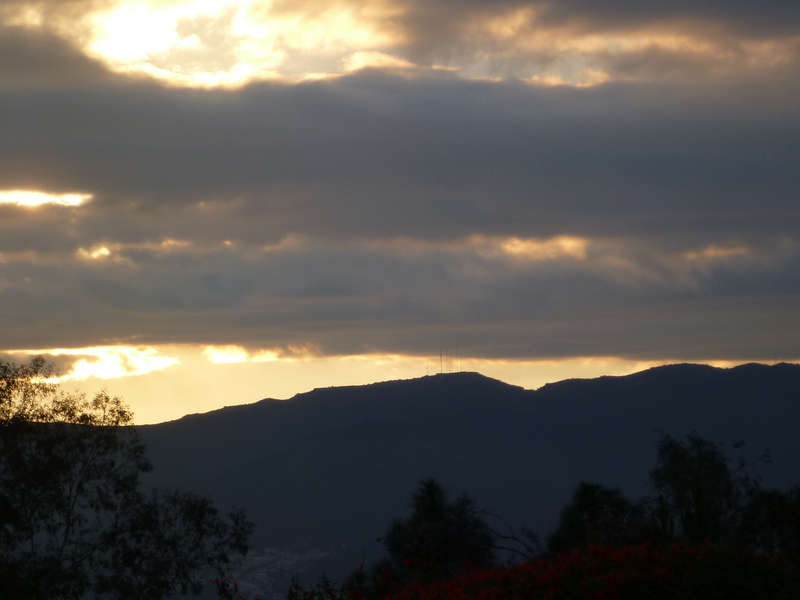 I was getting tired — it was 6 am, and I drifted off to sleep. I startled awake as I saw the car heading off the road, and made a little scream to wake Lisa up. We were safe. I didn’t neglect that duty the rest of the drive, and we somehow stayed awake until we arrived in Provo, Utah where I did sleep for the rest of that day. Last night, we were driving home late from southern California back to our home in Palo Alto. We left late, 8 pm. We had a 5+ hour drive ahead of us. I have been battling a sinus infection for the last few days and a cold for the ten days before that. So Erik generously said he would drive the whole way. I got a chance for a good chat with Nicole, passed out dinner (bagels and clementines, carrots and string cheese) to the family, and then snuggled up with Camille, Maren and Robin to watch a movie and read scriptures. I knew when we left, that at midnight, we might regret the decision to be on the road. And sure enough, at midnight when we stopped for gas, Erik said he was tired. He took a short five minute rest, and then geared up for the last hour and a half on the road. I was pretty sure I wasn’t up for taking over —cough, cough, sneeze, blow my nose. The four girls were asleep. But last night, I didn’t have to be the one to keep the driver company and help him stay awake. Brandon was up in the front seat with Erik. They had a good chat, played some alphabet games, talked about whatever they wanted. I dozed a little, and when I would wake up, Brandon and Erik were talking and alert for the final push home. I am grateful someone else had the instinct to help the driver in the late night so I could rest and know that we would arrive safely.